What’s better than food?! Umm, great offers on great food. Well, LLOYD and #DLF took no time to understand this and treat you to the: 50-Fifty bonanza. “As much as you love heading out to a buzzing resto bar, when the bill arrives – it often slaps you back to sobriety. DLF CyberHub has come up with a super exciting 50 – Fifty campaign to end all your woes. Under the campaign, avail assured cashback of 50 percent and more on your total food & beverage bill in the form of vouchers. Well, I know this sounds as surreal right?! It did to me as well, and to prove me wrong, and give us an experience of this crazy offer, we went on the #50minFoodHop. We started off with refreshing ounces of healthy Frozen Yogurt from RedMango, in colorful flavours. Next up was Mr. Mamagoto! Authentic Asian delicacies served with expertise, taste and delicate preparation with spices. Spice game well played- Thai Puchkas , anyone?! Always ready for some delish Asparagus Sushi and juicy Black Bean Dimsums. Moving on to the legendary – United Coffee House: From the historic lanes and landmark of Connaught Place , all the way to Cyber Hub, serving indulgent Cheeze Paranthas. Did you say stellar thin crust Pizzas? Hop over to Indigo Delicatessen right away! Crunchy; crispy and satisfy-ing. Well, if you still haven’t taken advantage of this literal ‘gift-for-foodies’ 50-Fifty offer, what are you waiting for ?! 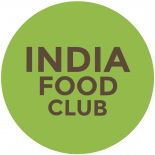 This entry was posted on February 20, 2018 by India Food Club in Restaurant, Uncategorized and tagged coffee house, crawl, cyber hub, dlf, food, gurgaon, indigo, lloyd, mamagoto, mango, red, restaurant, united.